i have searched this forum for a specific information. 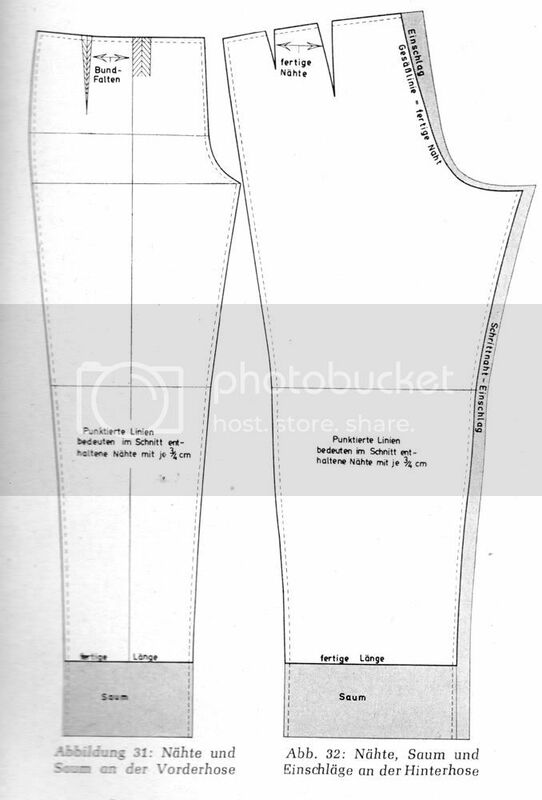 i am making a pair of trousers using Mansie Wauch pattern. and thread marked the cloth, inside the seam allowance. between crotch and knee, 1 cm. this would be an alteration to the pattern. so the back part is taken in, but not the front. this is not what i did on this muslin. i was just wondering, because i might use this approach later on. 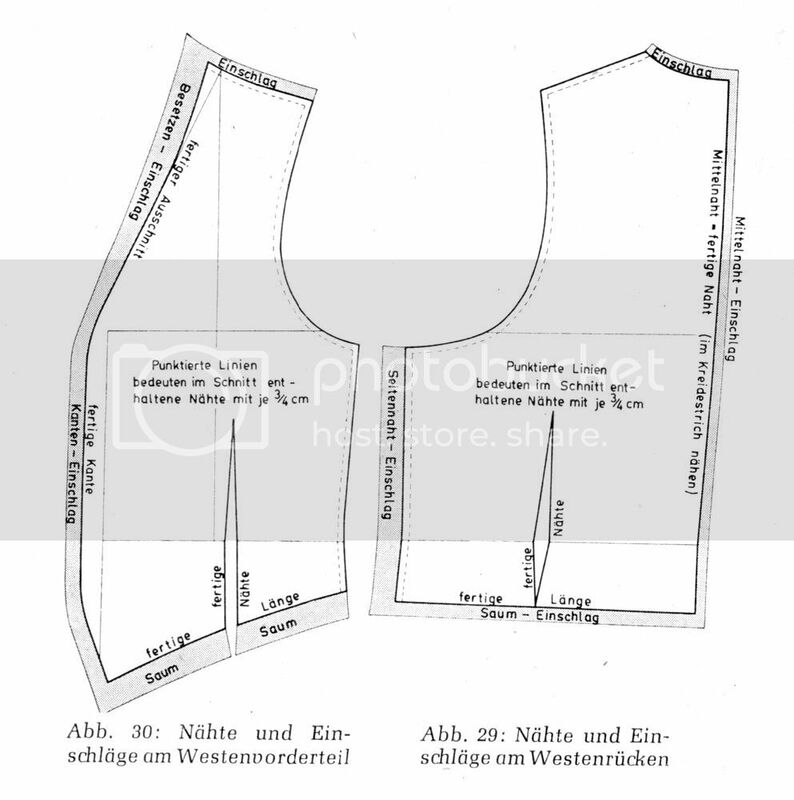 how can i sew these alterations without trimming the inlay to a regular seam allowance? Hi! 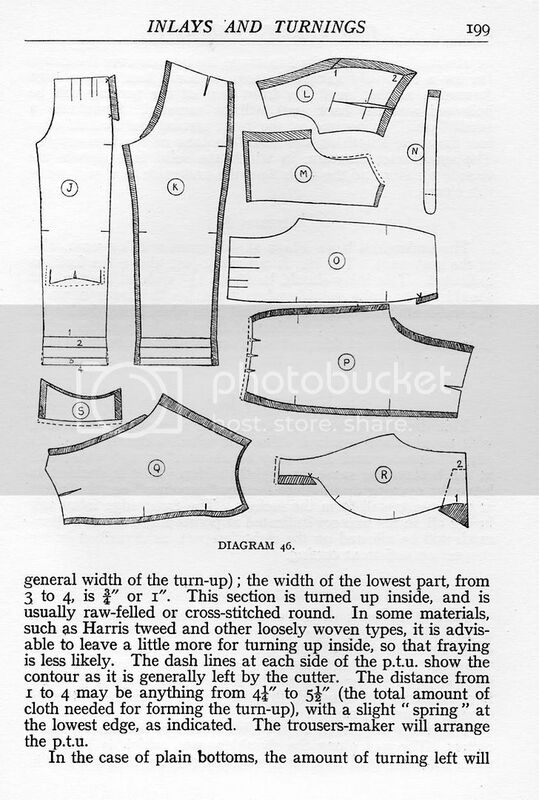 I'm still trying to find the logic in pattern drafting, but I have a tremendous doubt. 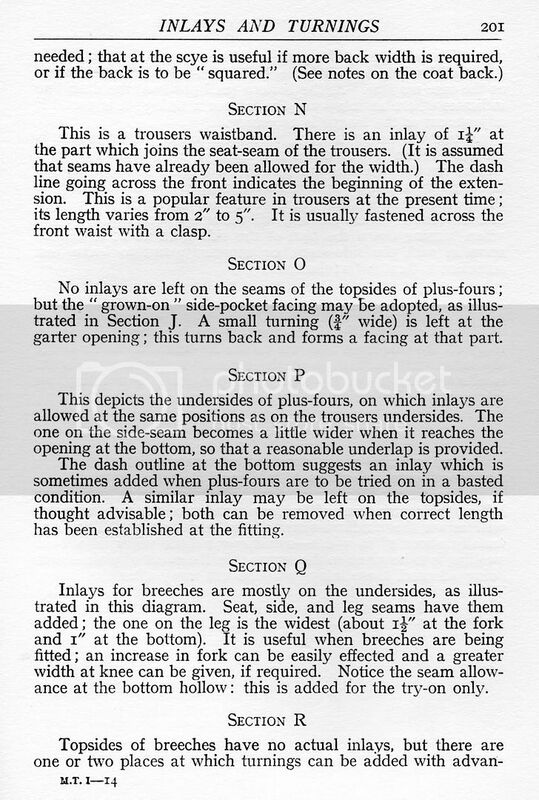 I made a pattern following Poulin's trouser drafting formula, but when he explains the layout of the pattern over the fabric, he never says anything about how much the seam allowances should measure. 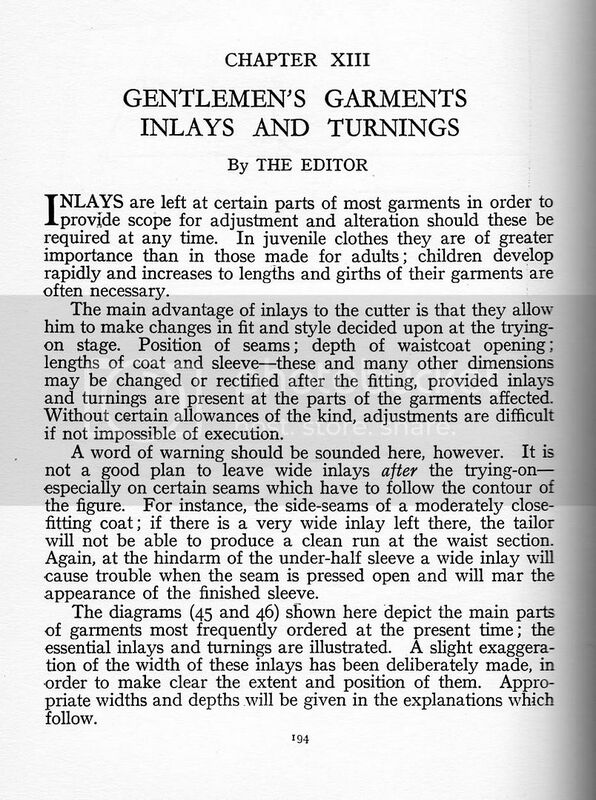 Is it because it's understood that a standard amount of seam allowance must be left and then apply the inlay? I would really appreaciate if someone could clarify my doubt. In men's draft there is mostly 0.75 cm seam allowance included. If not it is mentioned.You see the dashed lines in the Rundschau draft. The shaded area are the inlays. 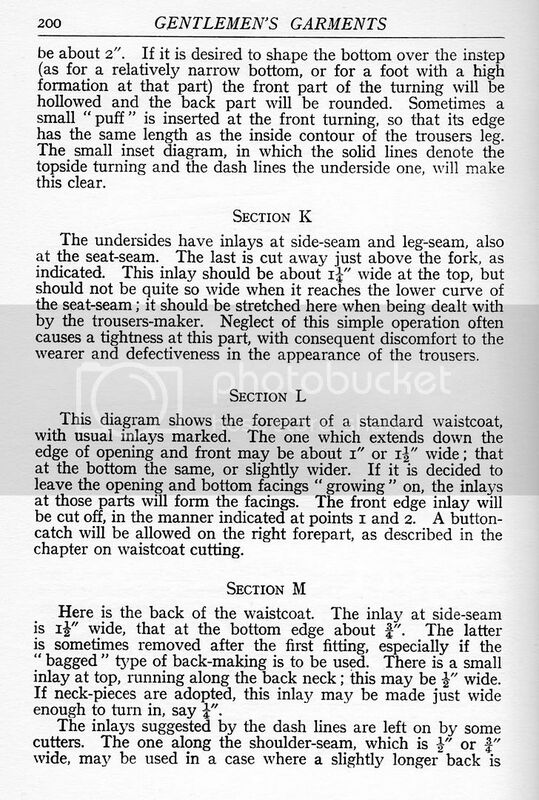 The inlays are "enlarged" seam allowances which are used for fitting. I belive Poulins seam allowances are 1/4 inch in the finished draft. The inlays are added on the cloth. So chalk the cloth around the pattern,marking balance marks, then add the inlays and cut. Now thread mark the balance marks and edge of the pattern where the inlays are. Bast the garment together with no pockets and try on. Adjust the seams, including the dart widths until the clott hangs well. Change the pattern according and sew up the pants. Poulin doesn't show the corners of the hip pockets very well in making, that is the "prongs" at the corrners. Some other books show it. The information you shared is very helpful, from where do you get such information to post here. Any references?